THE BEST PHOTO EVENT OF THE YEAR 2016! 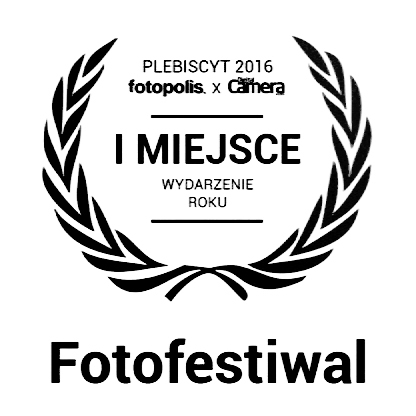 FOTOFESTIWAL WINS! There is nothing more satisfactory than receiving the award selected by the audience! We are truly thankful to everyone who voted for us – thank you, thank you, thank you! The best products and events of the year 2016 have been announced. Plebiscite organised by Fotopolis – portal for photography enthusiasts and by photography magazine Digital Camera Polska is the biggest in Poland, annual competition accompanying portal’s birthday. Since twelve years the audience is selecting the best photo-products and photo-events, voting for their favorites in ten categories. This year, one of the most important awards in the photographic industry, went to Fotofestiwal! Fotofestiwal 2016 > News > THE BEST PHOTO EVENT OF THE YEAR 2016! 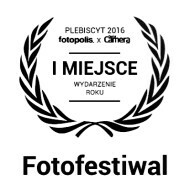 FOTOFESTIWAL WINS!